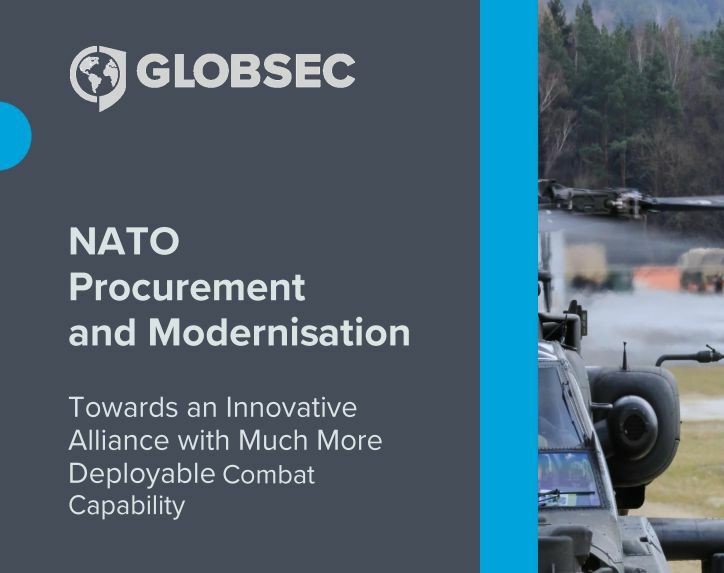 After 15 months of rigorous analysis and intense consultation, the Final Report of the GLOBSEC NATO Adaptation Initiative was launched on November 27 2017. Its authors advocate a set of specific, innovative and important measures that will enhance NATO capabilities and solidify its status as the ultimate anchor of European stability and transatlantic security. 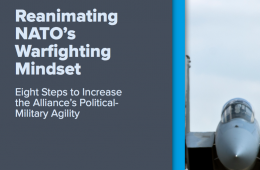 This augmentation paper builds upon the Final Report by addressing a concrete “tactical” challenge that the Alliance might face in the future. From a purely military perspective, A2/AD represents the ability to prevent an adversary from deploying its forces in a certain territory and deny him unhindered operationsHowever, beyond the purely military perspective, A2/AD embraces other dimensions that NATO allies need to acknowledge if the strongest military alliance ever is to be serious in undertaking a profound adaptation to the new strategic reality. A continuous deficit in NATO´s ability to assure permanent access to wherever and whenever its interest command would presumably make the Alliance fail both in maintaining crucially relevant internal cohesion and in deterring potential geopolitical competitors. In a recent interview, the US Chief of Naval Operations, Admiral John M. Richardson, decided that the US Navy should “refrain from using the term A2/AD as a stand-alone acronym” – thus questioning the adequacy of a term which encompasses a significant part of the military strategies of China and Russia. However, A2/AD deserves to be studied not only through a military lens but also in a wider context. In other words, while considering the military aspects of the challenge, what is at stake is first and foremost a question of being deterrent enough to prevent any adversary from seizing the occasion in which he could use this strategy – with potentially dire consequences for the Alliance. dapting efficiently to the A2/AD challenge is only possible through an accurate understanding of the roots of the problem. We argue that the overall negligence of defence spending (in the case of most of European allies), the United States’ decision to devote a growing share of strategic attention to theatres in the Middle East and Asia, and a cautious approach in assuring allies on the eastern flank of NATO have created the space for proactive Russian engagement in areas of past NATO pre-eminence. This development has had a visibly negative impact on the internal dimensions of NATO´s geopolitical standing. Significant disparities in the prioritization of defence spending between the two sides of the Atlantic, rather limited political appetite to address the Russian resurgence as a “shaping” geopolitical force and lack of compelling political narrative for NATO´s raison d´être have made the alliance weaker internally. I Inner weakness naturally invites external challenger(s) with Russia’s A2/AD challenge a by-product of these inner flaws. 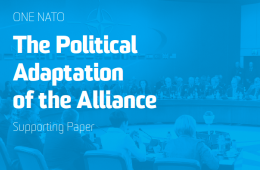 This article will present the current nature of A2/AD challenge within the European theatre, describe what it entails for the Alliance, its most vulnerable members, its long-term cohesion, and also prospects for a durable stability on NATO´s eastern flank. With the presumable perseverance of the Russian A2/AD challenge, the Alliance will face a growing need to close the gap of insecurity by focusing on the further enhancement of allied capabilities and continuously rethinking the NATO Defence Planning Process (NDPP) framework. NATO´s policy of “enhanced forward presence” and reiteration of the need for fiscal burden-sharing via the Defence Investment Pledge are important prerequisites for successful NATO adaptation. 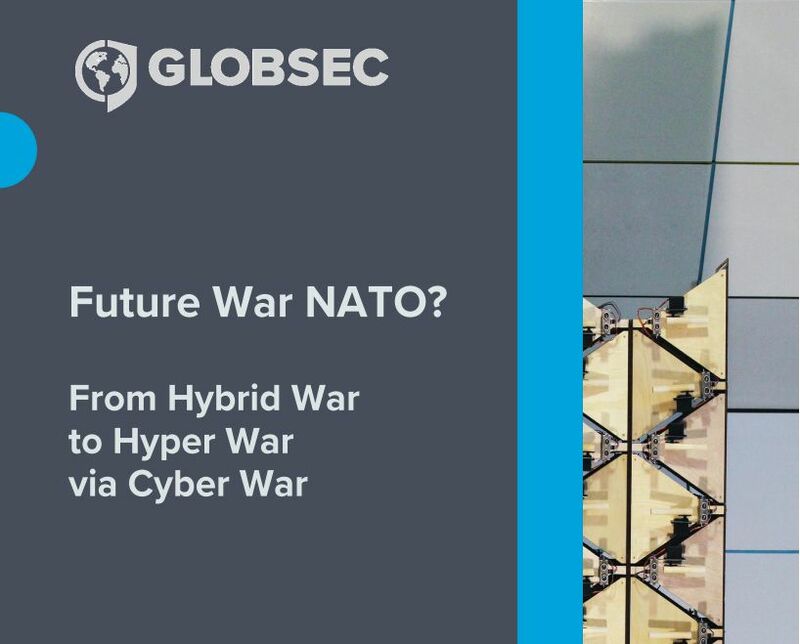 However, r these steps shall be perceived only as the basis of adaptation – which will necessarily have to move beyond the solely military realm in order to be capable of deterring NATO´s peer competitors from exploiting the structural weaknesses of the Alliance. A2/AD in Europe: understanding the Russian threat? Like every fashionable concept, “anti-access and area denial” builds on a simple yet very effective idea. In this case, A2AD combines several “warfighting strategies focused on preventing an opponent from operating military forces near, into, or within a contested region.” It aims at denying the possibility of an operationally superior adversary maximising its combat power by keeping him at bay. Coined by the Chinese People’s Liberation Army after observing the US and Allies operations in the first Gulf War, it is first and foremost a defensive strategy, that tries to offset US (and by extension Western) military advantages, by threatening to impose unbearable costs. From a pure military standpoint, it challenges freedom of movement by being able to interdict nearby skies and seas in wartime or increased tension. In Europe, A2/AD recently became a matter of interest after Russia’s seizure of Crimea. Whilst Russia’s military activities peaked through 2015 and 2016, the deployment of anti-access systems in locations bordering NATO’s countries was accompanied by a mixture of sabre-rattling measures and an aggressive narrative, rising tensions and apprehension among regions where Russia and the Alliance have conflicting interests, such as the Baltic States and the Black Sea. Russia´s A2/AD ambitions have their roots in the argument that its projection of weakness and negligence led to NATO´s eastward expansion. In response, Moscow has now developed concentrated zones of defence capabilities that are aligned with the historical vision of Russia – that is the motherland at the core of its buffer zones. Today, Russia’s efforts to re-establish its lost position in the region go beyond the military realm. The international community also perceives it via the recent proliferation of assertive messaging, political subversion, and disregard of international norms to advocate national self-interest. What is even more remarkable, President Putin has seemingly been testing – with a fair degree of success – the West’s devotion to territorial defence and application of NATO Article 5 in residual crisis situations, such as a limited cyber-attack on a number of allied nations. What we are witnessing with the A2/AD build-up is a decade long and precisely tailored geopolitical endeavour aimed at consolidating Russia’s strategic standing in its “near abroad,” or as the Kremlin tends to label it: the sphere of privileged interests. One of the key distinguishing priorities of Vladimir Putin´s tenure in the Kremlin is represented by an ambitious set of policies to revitalize Russia’s military across all domains – air, land, sea, nuclear and cyber. The foundation of this military renaissance rests in President Putin´s belief that perceptions of weakness invite challengers to ‘test’ Russia, thereby making it more to external pressures and internal disruptions. Along the line of this belief, the Kremlin has embarked on a complex transformation of the Russian armed forces from a model inherited from the Soviet era into a more-compact, mobile, technologically-advanced, twenty-first century force military that’s capable of projecting force in an efficient manner across a wide spectrum of potential (conflict) scenarios. What is even more outstanding compared to the established Western democracies of NATO members is the perception and relevance of the military and relevance within Russian society. While it might not come as entirely surprising that a growing proportion of Russians support Putin´s military build-up, the findings of a recent Levada Center poll are nevertheless intriguing. It suggests that despite challenging economic conditions, 46 percent of respondents approve of increased defence spending. This, in turn, suggests that Russia’s military is primarily perceived as an actual (rather than perceived) tool of national preservation. The deployment of these capabilities has been evolving rapidly, with the showcasing of Russian military technology in Syria fitting into the picture of renewed national self-confidence in projecting power and strategic ambition instead of solely reacting to the analogous ambitions of other military powers (i.e. the US and China). And while A2/AD challenges in the Black Sea and the Eastern Mediterranean do not raise the same level of concerns (mainly due to the availability of numerous allied reinforcement and supply ´routes´) as the Kaliningrad-Baltic bubble, their existence could pose a significant complication to the modality of ongoing NATO missions at a later date. NATO facing A2/AD: Increasing the Technological Gap or Adapting Strategically? Certainly, the deployment of Russian A2/AD capabilities in Syria has electrified NATO member states and raised concerns regarding the possibility of multiple A2/AD bubbles that would seriously limit the Alliance’s freedom of manoeuvre. General Philip M. Breedlove, then-SACEUR, suggested that NATO had to step back and “take a look at our capability in a military sense to address an A2/AD challenge […] This is about investment. This is about training.” Indeed, A2/AD crosses the span of a solely military response and questions the ability of both political masters and military to effectively cooperate in order to overturn this this challenge. In our view, five NATO’s ability to successfully adapt to and eventually overcome A2/AD rests on its ability to meet five key challenges. First and foremost, NATO must reinforce and protect of those allies that are most vulnerable to A2/AD capabilities. This is especially true of member states along the Alliance’s eastern flank, which might also necessitate NATO’s NATO´s permanent access to their territory. Maintaining access either by air, sea or land is critical to NATO as it forms the bedrock of collective defence and not being able to live up to this core task would constitute a serious downgrade of the Alliance. The Allies responded to this issue at the last two Summits by agreeing to deploy and preposition in the Baltic States and Poland. This “enhanced forward presence” is supposed to work as a tripwire, making any territorial seizure a case of potential escalation. Beyond any doubt, the enforcement of NATO´s eastern flank in its current scope and nature cannot represent a sufficient military force to oppose Russia’s armed forces in a lasting and escalating conflict. However, what it can create is the perception of NATO´s full endorsement of Article 5 obligations and thus to deter Russia from any endeavour aimed at initiating and escalating conflict. In order to constitute a credible source of efficient deterrence, the enhanced forward presence must be both enduring and adaptable to the evolving regional security environment. Second, the unique topography of the Baltic Sea poses a significant strategic advantage to Russia. With an average depth of approximately 50 metres, a large-scale NATO deployment to the region would face serious limitations in terms of manoeuvring and delivering. Beyond the scope of this challenge, any potential NATO action to address Russian aggression around the Baltic (be it by air, land or sea) would require the neutralization of the A2/AD corridor in the Kaliningrad enclave. NATO´s answer to these challenges is the newly created Very High Joint Readiness Task Force (VJTF), also known as the NATO Spearhead (which currently consists of 5,000 men led by the United Kingdom). The VJTF constitutes the most adequate form of the initial (yet rather limited) technical response to Russia´s territorial aggression on the eastern flank. However, the scope of NATO´s key challenges would likely not be limited to issues of amassing sufficient manpower and corresponding capabilities or bypassing the A2/AD corridor in Kaliningrad, but also producing sufficient political will among NATO members to uphold and, if strategically needed, escalate the mission. NATO´s role in the Baltics has essentially been built-upon three complementing policy pillars: guaranteeing allied access to the region; maintaining (political) unity and upholding NATO´s collective defence guarantees; and avoiding (unconstructive) escalation with Russia. To date, these policy pillars have withstood the test of time, largely due to the Kremlin´s reservations towards seriously testing their merits. However, from the perspective of the Alliance itself, this reality should not be perceived as satisfactory or assuring, but rather as an incentive to close (or at least minimize) the gap of insecurity. Third, the nature of the threat that Russia poses to key alliance members also provides NATO with a strong (almost existential) incentive to think ahead in terms of capabilities. Countering A2/AD requires that NATO members organise their efforts more effectively. At the Wales Summit, the Alliance took a Defence Investment Pledge, a commitment to spend 2% of national GDP on defence. But money is not enough if it is not spent wisely. NATO has to recognise that the time when it could operate without being challenged are over, and that the lessons learned of operating in permissive (Afghanistan, Kosovo) or semi-permissive (Libya) environments might not apply anymore. This is no more apparent than within the air domain, which is currently the quickest and smartest way to deploy a first response and project. But what if NATO aircraft can’t deploy into a specific region? 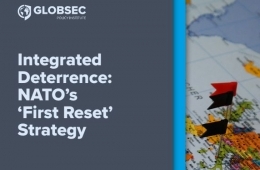 Likewise, NATO requires a clear and precise intelligence picture that is mostly provided by a permanent, multi-layered Joint Intelligence Surveillance Reconnaissance system, providing information to the command structure and permitting timely acquisition of quality intelligence data. The development and entering into service of the NATO Alliance Ground system might be at stake if it is not able to operate within an A2/AD environment. Fourth, NATO´s active response to the Russian A2/AD challenge poses highly relevant political implications – not solely, on the future NATO-Russia relations, but also on the internal political situation in several NATO countries. Given how significant the challenge of countering Russia´s A2/AD has become NATO´s answer needs to reach an analogous build-up of countermeasures to guarantee an adequate level of efficiency. Obviously, a sudden increase in countermeasures creates the potential for notable (conflict) risk increase – most likely going hand in hand with a drop in public support. NATO´s capability development, both in the Baltics and outside the region itself, must therefore be appropriately timed, addressed and, first and foremost, adequately communicated to the broader public. Fiftth, NATO’s current framework for capability development, the NDPP, is well-known and brings cohesion across the various strands of work. But the NDPP must also reflect changing concerns and priorities. For the past two decades, NATO capabilities were mainly orientated towards crisis management and expeditionary warfare. Today, the changing and hardening environment calls for heavier equipment and guaranteed access to operational theatres. This means that a new balance must be found between the core tasks of collective defence and crisis management. Today, only a handful of states possess the knowledge to perform Suppression of Enemy Air Defence (SEAD) and Airborne Electronic Attack (AEA), with past campaigns such as Operation Unified Protector proving just how critical these means are and will be in the future. This is why the new path explored by the US DoD “Defense Innovation Initiative” (also portrayed as the “third offset strategy”) contains multidimensional elements that deal with countering A2/AD with a renewed technological dominance. Addressing the growing problem of A2/AD bubbles along the NATO periphery will require meeting a set of technological and political ambitions. The challenge of A2/AD is not just military in nature. Discrepancies in defence spending among European allies, the US’ decision to devote a growing share of its strategic attention to the Middle East and Asia, and a negligent approach to assuring allies along NATO’s eastern flank created the space for proactive Russian engagement in areas of past NATO pre-eminence. Understanding the role that A2/AD plays in Russia’s doctrinal thinking is as essential as the allocation of precious financial resources to counter technological advances. And while a complete change in Russia´s strategic thinking is unlikely, the likelihood of “bona fide” engagement-driven moderation might be a feasible alternative to the escalation of tensions. While Russia´s A2/AD build-up strategy might well be based predominantly upon authentic defensive philosophical underpinnings, its existence has direct implications for the security of the Alliance, mainly in relation to the Baltic countries and Poland. None of these countries feels obliged to pay this price to make the Russian Federation feel secure, and neither should NATO. An enhanced forward presence constitutes a valuable new wave of thought (in the name of reassurance and adaptation) essential for closing the gap of insecurity created by both NATO´s continuous neglect of its Eastern flank and the Russian reaction to this neglect. 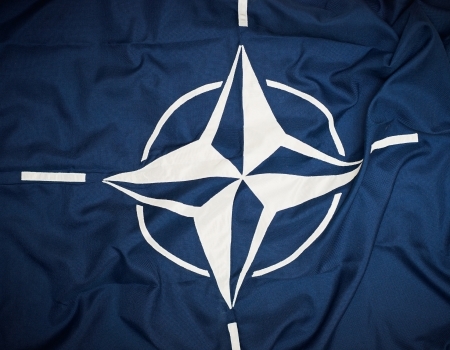 The real challenge of these formative waves rests in NATO´s ability to assure (via adaptation) the Alliance´s most vulnerable members without providing Russia a pretext for a further escalation of tensions – one that could easily turn NATO politically in on itself. Even though strategically important, NATO´s further orientation towards the objective challenges emanating from its eastern flank (at the potential expense of addressing challenges coming the South) could politically divide the Alliance and have a counterproductive effect. Russia is aware of that and will likely test the resolve and the competence of the Alliance. If NATO is to succeed in addressing the Russian A2/AD challenge, it will need to find a viable path for the application of military measures in a politically acceptable and geopolitically advantageous manner. Dr. Guillaume Lasconjarias is a Research Advisor in the Research Division of the NATO Defense College in Rome. His areas of interest include military doctrine, counter-insurgency operations and revolution in military affairs, as well as professional military education. He also studies the concept of hybrid war. 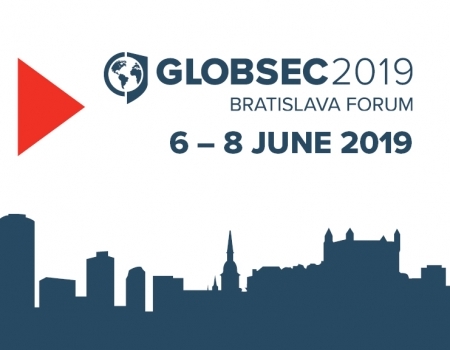 Tomáš A. Nagy is a Research Fellow within the Defence and Security Programme at the GLOBSEC Policy Institute (GPI). He works on a wide array of security related issues within the context of transatlantic relations, regional (i.e. 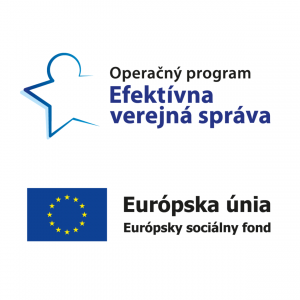 Visegrad) cooperation, European political integration and nuclear affairs. Sam J. Tangredi, Anti-Access Warfare. Countering A2/AD Strategies, Annapolis, Naval Institute Press, 2013, p. 1. Stuart E. Johnson and Duncan Long (eds. ), Coping with the Dragon: Essays on PLA Transformation and the U.S. Military, Washington D.C., Center for Technology and National Security Policy, 2007, p. 73. See “S-400 Triumph Air Defence Missile System, Russia”, Army Technology, http://www.army-technology.com/projects/s-400-triumph-air-defence-missile-system/. Martin Zapfe and Michael Carl Haas, “Access for Allies?”, The RUSI Journal, 2016, 161:3, p.34-41. Glen E.Howard, “Lithuania’s key role in countering Russian A2/AD challenge to Baltics“, Delfi, 2 March 2016. MAIN REPORTS by the Steering Committee.